In this new age of eBook reading, the options available are plenty. You have excellent tools which you can use offline. You can install these tools on your system, mobile, tablet, and another smart device, and get reading. This reading has become incredibly easy in its use. You no longer have to wait for a book to hit the markets to pick it up. With the eBook revolution, you can get your hand son the eBook copy of the best seller within seconds of its release. Of course, you have the argument of physically holding a book always there. But then, with technology fast catching up with the reading habits of the users, this line is blurring. Therefore, you can get a reading as much as on a physical book, as is possible. Our discussion course in this article is about the means of Online tools available for reading. This has always been a challenge to decide. If you are an avid reader who is more into just reading, plain text, this argument shouldn’t matter. Apparently, if there are some advantages to some means, we often tend to opt for it. Such is human nature. Thus, perhaps this argument holds ground. You will have to decide to pick which tools look in your favour. Which tools work for you best is something you will have to decide. Having said that, each area of concern has its own pro’s and con’s, and we can’t just pick one, just like that. At the end of the day, what we have to look at is the way in which we can best use these tools to read eBooks and get the best experience doing so. The biggest factor which makes someone get an offline tool is perhaps the ease of use. As a user, you get all the freedom to explore a range of options for your use. These options will make your reading as easy and entertaining as possible. With eBook readers now available for free, you can’t complain. Most readers, like Kindle, Aldiko, Helicon, BlueFire, etc. are all cross platform. It means that you can go ahead and use the readers in different operating systems. Obviously, the tools layout may change from OS to OS, but the usage remains the same. Of course, as with any other tool, eBook readers, are always getting new updates, which allow you to read and view eBook files from PDF to Mobi. Most eBook readers today support a range of eBook formats like ePub, PDF, CBR, Mobi and the base writing text formats such as Doc, and HTML as well. Thus, you will never need any other things to go about in reading. Naturally, eBook readers edge past any other online options, because of their additional features. These extra features involve from eBook support, export and import options, sharing options, and also eBook conversion. Yes, with eBook readers in your system these days, you get the options of converting text files from one form to another. Also, with tools like Calibre, Sigil, and Scrivener, you can undertake conversion practices. Say, for example; you have a large duty CBR file (which is publishers usually use in Comic Books), you can get it to a PDF file with a series of images. Most of the times this is important because you may need PDF files for easier sharing. One other advantage of eBook readers to be in your system is that you can read eBooks as you go. This is to say that, you can read your favourite book as and when you like it. Have to get back to some work? Or have to go some place else? Not a problem. Most eBook readers these days come with the option of Syncing, which allows you to save your bookmarks across devices. Therefore, you can pick up reading anytime and anywhere you want. Of course, when you look at online tools, the biggest advantage that comes to the fore is the ease of use. Comparatively, the online tools are easier to load up than offline eBook readers. With offline tools, you will have to install them in your system and then open the book. Apparently, this takes up much time. When you need to access a book instantly, Online tools and eBook reading websites are your best bet. In addition to this, you also have the privacy issues. Say, you wanted to use one of the eBook readers for reading and install it in your system. In this case, it may be possible that you have the risk of getting viruses. These viruses come loaded with the package of eBook reader software and thereby can install along with them. Eventually, your system gets infected, resulting in data loss and damage. With Online tools, you just have to give the URL of the file you want to open, and the browser does the rest. The Online websites have multiple options of reading your eBook. Yes, there may be an issue of data loss, when you upload your book. However, this is very low, when you do so through a web link. You won’t lose out on any information. Although the e-book readers come in all sizes and shapes, they still take up your system space. What if you run out of storage space and suddenly have to remove the tool from your tool. By doing so, you are deleting all your user information too. The information may or may not sync with the other devices where you have the app installed. On the contrary, if you are using an online tool, the best thing is usability. You just have to register here for an account and start reading. Thus, you can always get back to reading your eBook as you wish, from any browser anywhere. 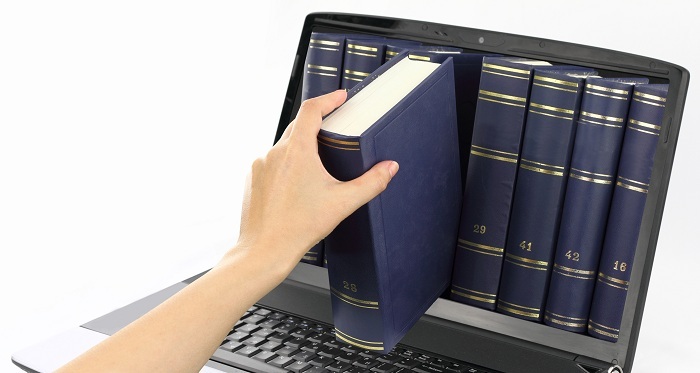 Now that we know about e-book formats let’s look at our list of eBook readers online. Of course, you will find that most of these sites have options for registering an account with them. Having said that, some allow you to start reading a book with no frill attached. You hit the ground running here. It is a better practice to have an account so that you don’t lose out on anything. However, if you are looking to have an instant read for the eBooks, you may as well, get to the sites which allow for it. All in all, these sites have a range of features which will help you read books as you wish. 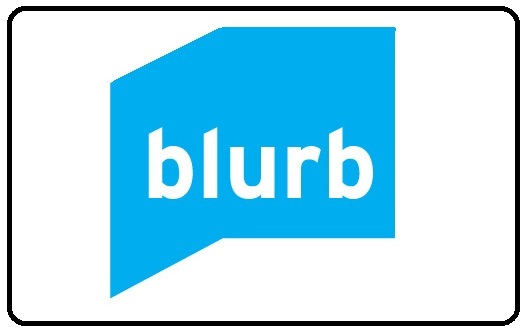 Blurb is one of the largest self-publishing sites, where you can find a lot of quality, very well designed e-books. To discover new books to read, you can go directly to Blurb bookstore. When we say that it is an all round book solution stop, we are saying it. You can find almost all the things you want to do with your eBook here. Of course, Blurb is more focused on giving you a visual appeal for the books, then the books per se. However, you can buy some books here, and get reading instantly. Very often, online book previews on Blurb show the entire content, as authors earn money on selling print versions. Previewers to a great way for avid readers to check out great stuff online without spending too much. You get the option to download as well, but the site itself offers you good reading tools. Thus, it is better to use these tools than to download it. As the site focuses on showcasing beautifully designed books, the makers developed the reading interface with that purpose in mind. Within this interface, you will find that you have all the controls you usually want from a decent eBook reader. Honestly, you can go ahead and read as much as you want here, without worrying about an eBook reader tool. After you find the book, click on its cover if you see Preview Book! ribbon. Preview books are the books which only give you a sample to read and not the entire book. However, this is a good way to analyse and see if you like the book, before spending for it. It takes some time for the book to load up the preview, but it’s worth waiting if you’re looking for books that could give you a visual inspiration. Blurb is, after all, something that prides itself on giving you the best visual experience on an online means. There are millions of docs available here: comics, presentations, brochures and apparently books. Most users describe the service as YouTube for documents. While you can find almost any type of book within the archives of Scribd, you may have a tougher time searching for them. Although Scribd is a great repository of books, you still may find that the search features are somewhat old school. There is one thing you have to keep in mind, as you may get lost when entering the site. Scribd offers its visitors two kinds of books: the ones available through a monthly subscription, the free ones. However, you can use the free trial for a month or two depending on the season sale. This way you can get ahead and see what you want from the platform. Also, it gives you the freedom to get a taste of all the features of the reading tool online. Additionally, You’ve got several ways to share what you read. There is an option to embed a book on blog or website. You just have to paste your URL into the load up the search bar and get going. This way you won’t have to switch windows to get reading something. Although some time ago the site was packed with Google ads, the issue now seems to have been resolved. Previously, Google ads made it almost impossible to focus on reading. However, with new updates, the interface is much smoother, and the reading experience is way better than before. With Scribd, you see what you want instantly. You can view the content of a book immediately when you open the book’s page. Thereby, clicking on the title is enough to give you an instant preview of the book. With no lag for load, you will have the freedom to check out multiple books in quick series. Once you scroll down, all distracting elements are gone, leaving only a top toolbar and download widget. Thus, the reading becomes all the more accessible and engaging than ever before. Canada-based Wattpad is one of the most popular e-reading communities in the world. As it is a community ebook centre, you are in good hands, with regards to what you read. You will find that, once you spend a good time here, you will get some interesting recommendations here. Moreover, these eBook recommendations are from people who share the same interests as you. According to official information, Wattpad readers spend over 2 billion minutes on the site every month. Every minute, more than 10,000 readers are connected. The site supports over 20 universal languages. When you select your mother tongue, you’ll see books in your language and book recommendations from users who chose the same style. Multi formats are an excellent way to not only build your reading groups but also collaborate on projects of same passion. In addition to being a robust site in itself, Wattpad boasts of an active Android and iOS application too. You can register the apps under the same account, and get your recommendations synced across the devices. Also, you get your books lists, preferences, groups, etc. all appearing within the device under the app. You get all the benefits of the websites and more within the app. Apart from your stories, which you can upload, you get the options to see What’s New. Under this feature, you will see the books which are recently uploaded and are within your interests. Also, as Wattpad has several tie-ups with multiple publishing forums, you may get in touch with them for publishing your works. A win-win situation that the website offers to its users is the publishing deals if you happen to feature in their feature stories. Under Wattpad, you also have a feature for discovering new books and writings. Just use the Discover icon under the Navigation bar, and you will see many books which you may have missed out on initially. Additionally, it’s a great way of building a diverse publishing inner group. If you care about the user interface and a pleasure of reading, you should try Bookish. The service has the most beautiful book reading interface amongst any other on this list. Thus, Bookish gives you the great pleasure of reading without acting as a limiting website. You will see the controls are beautifully arranged so that you have a clutter-free reading experience. Thus, nothing comes in between you and your book. Having said that, Bookish is one of those sites, where you will have to register to read. But, you don’t have to worry about anything, as you can log in with your Facebook or Google account instantly. Of course, registering an account has its advantages. You can save your settings, books, documents, etc., in your account. You have to sign in, but the process takes only a moment. Service is designed to be a user’s cloud bookshelf. By being a cloud library, you have all your data saved in the cloud without any particular loss as such. However, there a catch in how the site operates. However, there are not many books available for immediate reading. You will have to wait and search for books before you can get reading them all over. However, You can browse Public domain titles from a dashboard. You can also add your DRM-free ePub files. You can get used to all the innovative and beautiful features which are on offer here. However, you will have to see that you upload all the books that you need to get going with the personal list of eBooks which will give you the reading pleasure. Moreover, with publishers adding new books every day, chances you will find all the books you need here without much effort. You can find the same online book reader tool like the previous two on another site which goes by the name of Open Library. You will have to register again to operate within this eBook reader site. Although becoming a member doesn’t take much time, you will still not be able to access the pages without doing so. Hence, the registration is a way forward. The site is Internet Archive’s separate project, more focused on collecting library records. By doing so, they are providing Users with new index pages which will host different books and documents. Thus, Its goal is to create one web page for every book ever published. This is important because a user can then get about watching all the versions of a book available online. You can get your hands on, hardbound editions, eBook versions, PDF’s, Doc’s, etc all at one place. Therefore, on a page of a single book, you’ll find all its documented editions. The site claims to have 6 million authors and 20 million books. You can search inside 2 million titles. That’s a huge number for you to search and pick. However, Open Library boasts of an excellent search engine which will allow you to search for a book almost instantly. Once you find the book, you’ll immediately know whether you can read it online. You can see a Read icon next to the title. Click on the Read icon, and you’ll land in the full-screen online reader, similar to Internet Archive. There are around a million titles ( almost half the number of books listed) with the Reading icon. Hence, you won’t run out of good books to read anytime soon. When you click on the info icon, marked with “i” letter (right side of the top bar), you’ll be presented with options to download the book. Clicking on Mobi or PDF link will immediately download the book to your computer. However, you may need to have an offline eBook reader to open and read these eBooks. It’s worth noting that, most of the eBook readers in today’s age, support by default PDF, ePub or Mobi files. Hence, you won’t find it much of an effort in doing so. 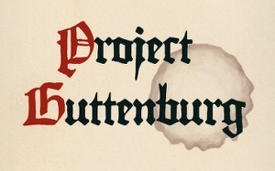 Project Gutenberg is a mother of all e-book sites. It started in 1971 when a first ebook ever was created, “Declaration of Independence of the United States of America.” Many sites that offer free e-books from public domain use the titles originally uploaded to Project Gutenberg. Currently, there are about 45,000 public domain books in the catalogue. If you’re looking for great classic books, Project Gutenberg is the right destination to go. Since it began in the early 70’s, Project Guttenberg has brought out authors and publishers to publish them under great features. You can see that the collaborations continue, as American Press history forms a major part of this site. Hence, you can find a great deal about history and politics through free to download eBooks from this site. You can use Project Guttenberg in more ways than one. You get the option to either select HTML file to open the eBook that you are looking for. If you are just interested in the plain text version of the eBook, then perhaps you may go for the Read the direct eBook link. Of course, with this option, you can go ahead and open the book in a new window and start reading. It’s as simple as that. However, with reading the book now option, you will see that the text looks way too dull and without any formatting tools at all. Also, you will have a left bar appearing all through the window. The left bar will take up some real space in the window and may hinder your reading. Hence, if you are someone who likes clutter free reading, you may opt for the download file. Within the download HTML file, you will get multiple eBook formats you can download. Thus, for the same title, you will find that you have a PDF version, ePub version, and also a Mobi version to download. Hence, you can get a version which you think is the best for your use. You will find extremely well-prepared e-books from Project Gutenberg. Using an HTML format to read them online is an excellent idea. Once you open the file, you have the simple full-screen view that you can scroll through. The online HTML reading window thereby is perhaps the best way to read online eBooks. 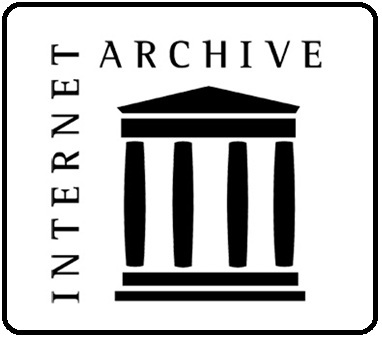 Internet Archive, which came out in 1996, is a non-profit organisation offering free access to digital content. The content includes books, images, videos, or audio files. All of them are mostly available for free, and even if there is a charge for it, the price is very minimal. The Internet catalogue includes well over 6,000,000 fully accessible public domain e-books and other text files. You can reach this section at this link: archive.org/details/texts. You can get around the books as you like, and get reading them instantly. With Internet Archive, the best you get is that most of the new books and updates are brought to the platform in almost real time. Thus, you never are reading an older version of a research paper that you so need. Also, you can save your time and resources when you have the book updating to the latest version. Use the search box in the top left corner to find the book. By default, the list of results will be limited only to texts. You can sort the results by relevance, rating, download count, and the date of adding the item to the catalogue. This gives you a better way of finding the book that you want, and also one which that most people are reading. Therefore, you never lose out on what the world is reading. You get what you want, and in the way you want it. The reading options within the Internet Archive is pretty simple too. All you need to do is, just click on the arrows in the bottom bar of the image of the opened book. You can enter full screen by clicking on the fullscreen link underneath. If you are an avid reader for eBooks, you will find that the best way of reading one is in fullscreen mode. The online viewer presents the scanned pages of the book, what brings an extra flavour to reading. There are many ways to go through the content of the book, including one-page view and zooming. One thing to keep in mind is that the content of the book is fully searchable, let not the scan mislead you. Use the search bar in the top right corner to find a word. All found instances will be marked in the progress bar at the bottom. Thus, you will find your book and read it within seconds. With Internet archive, you will get a greater facility regarding text-to-speech. In one of the few sites to offer you this capability, you no longer are bound with just reading books. Thus, you may activate the read out powerful feature and have fun listening to the textbooks. If you are a student who is into research and presentation, you may have come across a facility called as Google Scholar. This project by Google which was brought to bring almost all the universities and research books under one window roof was abruptly halted up. However, for general users, Google quickly came with a service, which was later known as Google Books. A vast collection of books that Google scanned and turned into viewable files is now available on Google. You can log in with your Google ID, and get reading here. However, in the recent times, Google Books have become more of a market whereby you buy books for offline use. In the recent times of course, with new portals opening up, you many options to buy books. The homepage of Google Books is a search box. More importantly, Google will prompt you to check out Google Play – their online bookstore. To stay in the Google Books project, use the search box on the left side. Books projects apart, you won’t have much trouble finding good things to do while on Google books. They do have a vast repository of work, between history, technology, politics, life improvements and research papers on various topics. Thus, it is a boon for anyone up for serious reading. There are some ways in which you can best use Google books. You can type in an author or a book’s title. You cannot fully preview all the books, but you can narrow search results to those that are. Previews allow you to look into what the book is all about. However, since copyright issues cover Google Books, you may not find all the books having this feature. However, you may see that most of the books offer you a free sample, which helps you decide which books you want. Although not exactly a new feature, this still is a great way of buying books for online use. With options like read a sample and read full content, Google books have you covered. The point worth noting here is that Google Books preview features are a bit different from others. Here in you will find that you can get a preview, but it’s not the same preview you get in someplace like Amazon. The free preview in Google Books doesn’t have to be a first part of the book. Let’s say a publisher sets a free show to be 20% of a book. You can select a chapter in the middle and read 20% from now on. Or jump from page to page, if you want. You’ll be able to preview the book until you reach the limit of free pages set by a publisher. Most of the users that have tried Smashwords don’t usually move to anything else. It’s that good. It’s the biggest and versatile site with ebooks from independent authors and publishers. As per the last count, there are currently around 300,000 from over 100,000 authors. With new books getting onto the platform every hour, you have with you one of the biggest libraries in the world. The great thing of Smashwords is that, like Scribd, most of its books are indie hits and publishers make them into other media. You may have seen many publishers pick up works from Smashwords and publish them as proper novels. Also, the platform has a significant offline presence too. Additionally, you can transfer the titles in Smashwords to other websites for further use. Presently, you will find that many distributors sell Smashwords books in big ebook stores including Barnes & Noble, or Kobo. All these bookstores offer an option to send a sample file to a connected device or application, but options to read books online are limited to selected titles or/and short excerpts. You get to choose which device you want the sample in, or which account you want to operate from. For the titles directly listed in Smashwords, you will instantly find a sample to read. If you know that a publisher of the book is Smashwords, you can be sure that in the original site you can read a free sample in your browser. Thus, learning and finding original works becomes easy. In addition to this, authors in Smashwords, have the option to decide the length of preview to offer. Depending on this, you will find the samples on the site. In addition to this, On a page with book details, scroll down to see a table with available e-book reading formats. You will see that the same title is available to you in multiple formats, most of which you may download after creating an account in it. Click on Online Reading to start reading. Or, you could just download the files in either PDF, Mobi, etc., and get to read them in apps like Calibre, Blio reader, etc. Another interesting book startup to watch out for is this new player in the market. You may have to register for an account here before you get reading books in it. However, account creation will not take much time, as you can connect to the page through your Facebook account. It is perhaps one of the better-looking websites than most on this list with a dashboard which is very well-organized. Also, you will find that you can find titles and books that you want easily through a smart search feature on the website. You can just type in the title of the book and further filter out the results basing on the author, year of release, language as well. In case you that you can’t find the book that you need, you can check the details of the book before letting it go. For checking the details of the book, click on the right panel and click on details. However, if you are looking to read the title instantly, you can press on the right panel and tap on reading now, to get reading. With so many options available online, you just have to zero in on one to read. Of course, with many options, come many new features which may or may not work for you as a reader. Also, if you are looking to have an instant read, online e-book readers are the way to go. Also, you may notice that some of these options have their own, eBook publishing forums, which is a boon for anyone who wants to get their work go beyond the confines of usual publishing companies. In case you are an author, who wants to bring out your work out into the market in the best way possible, you may need some professional help. You may have to employ online publishing services company, such as ours, and go ahead and reap the benefits of a greatly done piece of literature. Thus, we give you the product that can be used on these online platforms and help you take the big step toward publishing your work. Drop us an email now and let us together give your work all the care it so deserves.